You know it is a woodpecker because of its unique behavior of pecking vertically on trees and holes. Woodpeckers also have a distinct undulating flight that consists of a few rapid wing beats followed by a quick glide as the wings are tucked against the body rather than spread out as most other birds do. There are more than 180 types of woodpeckers or species that are in the world and are in a wide range of different habitats. This includes forests, deserts, jungles, suburban and even urban settings. There are no woodpeckers in Australia, Madagascar, or New Zealand. 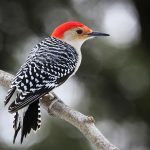 In the United States and Canada there are at least 22 types of woodpeckers found and that includes sapsuckers and flickers. 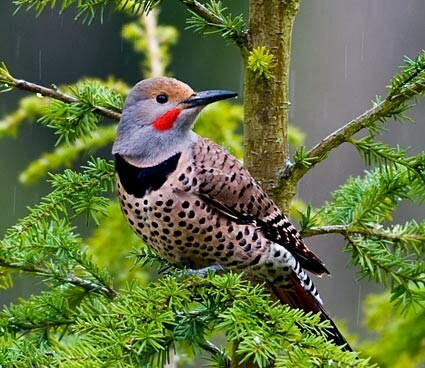 The most common types of North American woodpeckers are the Downy, Hairy, Red-bellied, Red-Headed, Pileated, Yellow-bellied Sapsucker, and the Northern Flicker. I have had all seven of these woodpeckers in my backyard because I like them and use the right wild bird food that will attract them to my feeders. Woodpeckers eat bugs, sap, fruit, nuts, and seeds. Suet feeders that have nuts, peanut butter, fat, berries, and the like are a woodpecker’s delight. I have even seen them eating on orange halves that I put out for the Orioles, nectar, and jelly. 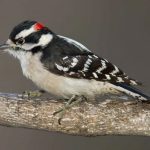 The Downy Woodpecker is the smallest woodpecker in North America found in a wide variety of areas except in the arid southwest. They readily come to backyard feeders and can be permanent residents. This woodpecker eats a variety of insects such as beetles, ants, gall wasps, caterpillars and others. It also eats seeds and berries and will dine at suet feeders too. I will generally keep them at my backyard feeders throughout the year. The Hairy Woodpecker is very similar to the Downy Woodpecker but there are some differences. First of all the size. A Downy is about 6 inches tall about the size of a House Sparrow and the Hairy is about 9 inches tall which is about the size of a Robin. Plus, the bill on the Downy is dainty and about one-third the length of the bird’s head. The Hairy’s bill is a railroad spike in comparison, and almost as long as the its head. You can also look at the outer tail feathers. The Hairy has all white outer tail feathers and the Down has spotted. Also, the male Hairy’s red patch is often split in two, while the Downy’s is not. It still can be hard to tell them apart when they are across the way but over time you just know. I usually can tell by their size. The Hairy pretty much eats the same things as the Downy. Red-Bellied Woodpeckers are often mistakenly identified as Red-headed woodpeckers in my neck of the woods. I always have to explain to people that there is a big difference in the two. Red-bellied Woodpeckers are medium-sized woodpeckers and are more common in forests in the East. They have striking barred backs and red caps. In the photo on the left it shows a male. You know this because the male’s red cap goes all the way down to the black and white feathers and the female’s is only on top of the head with white showing in between. You can attract these bright birds by having a suet feeder, peanuts and sometimes sunflower seeds. I use a supreme seed mix with nuts and fruits and a light summer suet mix at my feeders and will see them throughout the year. They also like orange halves. Red-Headed Woodpeckers are a striking sight to see when flying or perching on a tree. These birds don’t act quite like most other woodpeckers as they are adept at catching insects in the air, and they eat lots of acorns and beech nuts. Their diet consists of a wide variety of insects, also spiders, earthworms, nuts, seeds, berries, wild and cultivated fruit, and sometimes eats eggs and nestlings of other birds. Also sometimes eats bark. They are not as common either as their numbers have declined over the years. I usually see them in the spring in trees and they do come to my feeders eating nuts and fruits in my supreme mix. However, I cannot seem to keep them through the summer in my backyard. 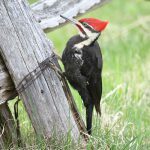 The Pileated Woodpecker is one of the biggest forest birds on the continent. It is about the size of a crow with black and bold white stripes down the neck and a flaming-red crest. You can’t miss their vocal, high and clear series of piping calls that lasts several seconds. Pileated Woodpeckers whack at dead trees and fallen logs in search of their main prey, carpenter ants, leaving unique rectangular holes in the wood. When trying to explain this bird to someone I usually say that it looks like Woody Wood Pecker in the cartoons with its red tufted head. They are a delight to see at my suet feeder when they happen to come in (usually it is a juvenile) and in the woods when hiking. 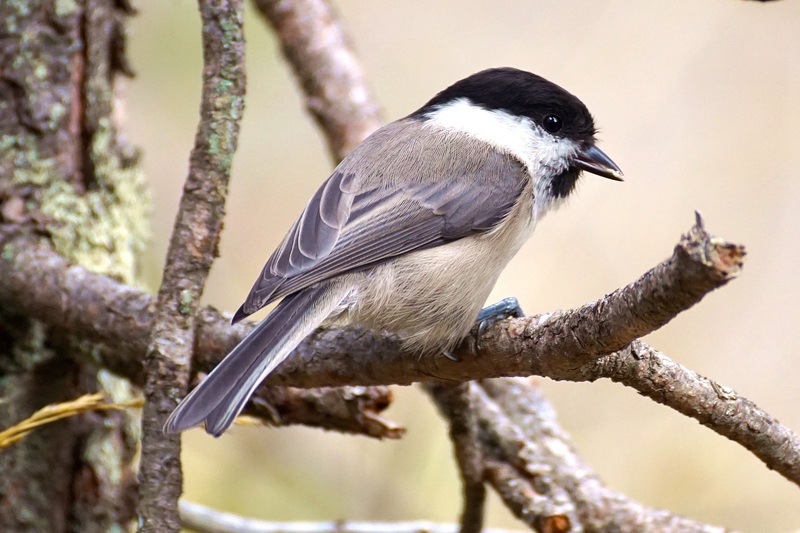 They tend to spend most of their time in wooded areas and if you live near a habitat like that you are more apt to see them and possibly get them at your feeder. 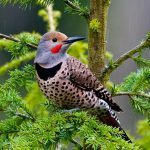 Northern Flickers are another delightful woodpecker to get in your yard. They can be found in almost any habitat with trees foraging by hopping on the ground, climbing tree trunks and limbs, and occasionally flying out to catch insects in the air. They eat mostly ants and other insects but also feeds on beetles, termites, caterpillars, and other insects. It will eat fruits and berries, especially in fall and winter. I periodically get this woodpecker in my yard and mostly in the summer months. I have not been able to keep them however. Yellow-bellied Sapsuckers are common in the north and east. They tend to be quiet in the wintertime but become noisy in spring, with cat-like calls and staccato drumming. These sapsuckers drill tiny holes in tree bark, usually in neatly spaced rows, and then returns to them periodically to feed on the sap that oozes out (thus their name). They also eat insects that are attracted to the sap and berries and fruits too. You can find these sapsuckers in woodlands, aspen groves, orchards, and mixed coniferous and deciduous woods. 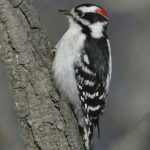 Woodpeckers live in woodlands and forests but some species can also be found in suburban and urban areas like the Downy Woodpecker and Red-bellied. 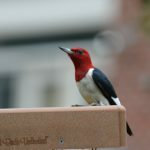 You can attract these beautiful birds to your backyard as I do by using a premium wild bird food mix that contains berries and nuts which I place in my platform feeder. I also put out a light summer suet mix in my suet feeder. 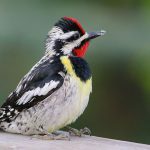 Try attracting woodpeckers yourself and see how many different species you can get. You may even be surprised to get the Pileated at your feeder. Let me know what woodpeckers you attract in your backyard and what type of food you use. Make a comment below. I would love to hear from you.